Who wouldn’t want longer lashes without having to wear fake lashes or get eyelash extensions? It would save a lot of time getting ready in the morning and for events. There must be a way to get longer lashes! As well as the tips below, where the use of natural products can give you the look you are after, you can also check out a company such as Xlash, who will give you all the information you need on how to get perfect lashes without wearing falsies. I can hear every man and woman jumping for joy as they may have finally found a solution to this beauty problem. 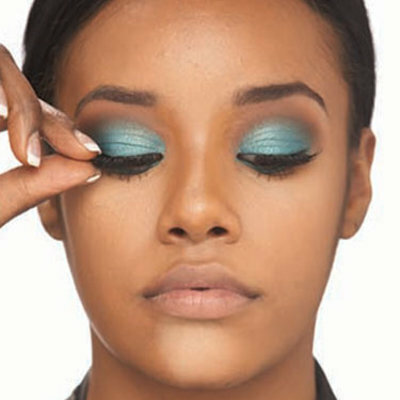 These tips will have you batting beautifully lengthy lashes in no time. There are tiny combs that you can get to brush out your lashes, which will help them grow and look full and long. Get a mascara wand and swipe on some Vaseline. It will take some time before you see results, but it’s easy and works! Plus, this is a great daytime look for the office! Okay so lash accelerator mascaras are real. Get one, apply a coat of mascara, and you’ll be help your lashes grow while you do! Gently rub a bit of olive oil on your eyelids at night. The eyelashes will soak up all of the healthy vitamins and minerals. Rubbing your eyelids GENTLY (and I do mean gently, because the skin around your eyes is extra thin and therefore extra sensitive) can stimulate the hair follicles, which means that your lashes will get stronger and longer in no time! Lengthening mascara will help your lashes look longer. They may not actually grow, but it will appear that they have, so in a quick pinch, it’s worth it! Vitamin E lotion will help give your lashes the maximum growth boost that they need! Okay, so you’ve heard time and time again about eating healthy and the health benefits along with that. One of those health benefits is healthy long lashes! Eating fatty fried foods can inhibit your lash growth! Speaking of diet, put some emphasis on protein! Protein will really help grow your eyelashes and hair! Biotin is a B vitamin that will grow your lashes incredibly fast! Take it every single day and you’ll notice a difference! Apply this daily to your lashes to help encourage growth and health. Apply to your eyelashes for curlier lashes that grow longer. Simply apply the lipbalm on your lashes from the base of your eyelashes and up to the tips. Don’t worry if you get it on your lids – it will be just fine! Your body needs amino acids for any type of hair growth. Antioxidants are important for normal hair growth and development. It helps healing and repair and preventing damage and splits. These vitamins are found in citrus fruits, avocados and leafy green vegetables. This seems a little obvious; I’ll say nothing more.